(by Joseph Menn, Reuters) SAN FRANCISCO – Yahoo Inc last year secretly built a custom software program to search all of its customers’ incoming emails for specific information requested by U.S. intelligence officials, according to people familiar with the matter. Yahoo complied with a classified U.S. government directive, scanning hundreds of millions of Yahoo Mail accounts at the behest of the National Security Agency or FBI, said two former employees and a third person apprised of the events. Some surveillance experts said this represents the first case to surface of a U.S. Internet company agreeing to a [U.S. government’s] spy agency’s demand by searching all arriving messages, as opposed to examining stored messages or scanning a small number of accounts in real time. It is not known what information intelligence officials were looking for, only that they wanted Yahoo to search for a set of characters. That could mean a phrase in an email or an attachment, said the sources, who did not want to be identified. Reuters was unable to determine what data Yahoo may have handed over, if any, and if intelligence officials had approached other email providers besides Yahoo with this kind of request. According to the two former employees, Yahoo Chief Executive Marissa Mayer’s decision to obey the directive roiled some senior executives and led to the June 2015 departure of Chief Information Security Officer Alex Stamos, who now holds the top security job at Facebook Inc.”Yahoo is a law abiding company, and complies with the laws of the United States,” the company said in a brief statement in response to Reuters questions about the demand. Yahoo declined any further comment. Through a Facebook spokesman, Stamos declined a request for an interview. The demand to search Yahoo Mail accounts came in the form of a classified directive sent to the company’s legal team, according to the three people familiar with the matter. U.S. phone and Internet companies are known to have handed over bulk customer data to intelligence agencies. But some former government officials and private surveillance experts said they had not previously seen either such a broad directive for real-time Web collection or one that required the creation of a new computer program. “I’ve never seen that, a wiretap in real time on a ‘selector,’” said Albert Gidari, a lawyer who represented phone and Internet companies on surveillance issues for 20 years before moving to Stanford University this year. A selector refers to a type of search term used to zero in on specific information. “It would be really difficult for a provider to do that,” he added. Experts said it was likely that the NSA or FBI had approached other Internet companies with the same demand, since they evidently did not know what email accounts were being used by the target. The NSA usually makes requests for domestic surveillance through the FBI, so it is hard to know which agency is seeking the information. Reuters was unable to confirm whether the 2015 demand went to other companies, or if any complied. Google and Microsoft Corp, two major U.S. email service providers, did not respond to requests for comment. Under laws including the 2008 amendments to the Foreign Intelligence Surveillance Act [FISA], intelligence agencies can ask U.S. phone and Internet companies to provide customer data to aid foreign intelligence-gathering efforts for a variety of reasons, including prevention of terrorist attacks. Disclosures by former NSA contractor Edward Snowden and others have exposed the extent of electronic surveillance and led U.S. authorities to modestly scale back some of the programs, in part to protect privacy rights. Companies including Yahoo have challenged some classified surveillance before the Foreign Intelligence Surveillance Court, a secret tribunal. Some FISA experts said Yahoo could have tried to fight last year’s directive on at least two grounds: the breadth of the demand and the necessity of writing a special program to search all customers’ emails in transit. Apple Inc made a similar argument earlier this year when it refused to create a special program to break into an encrypted iPhone used in the 2015 San Bernardino terrorist attack. The FBI dropped the case after it unlocked the phone with the help of a third party, so no precedent was set. 3. 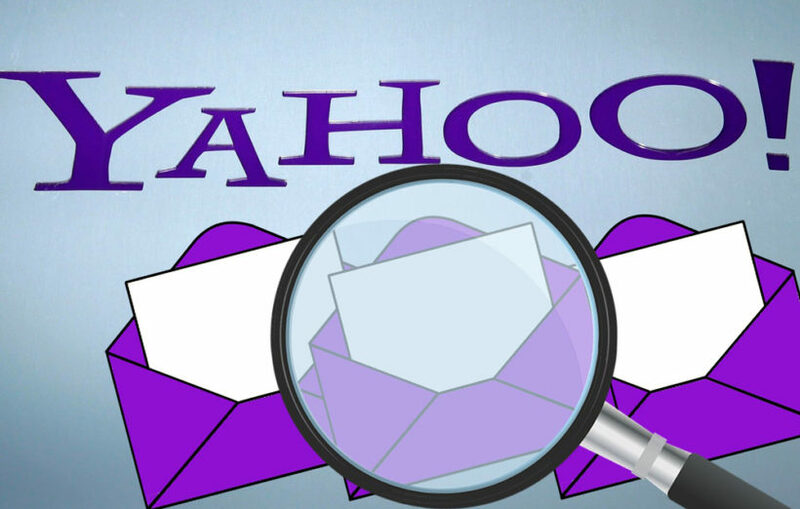 What information was Reuters unable to determine about the Yahoo email search? 4. a) How did Yahoo respond to questions about the revelation? b) How did the National Security Agency respond to questions? 5. Why do experts think it was likely that the NSA or FBI had approached other Internet companies with the same demand? 6. For what reasons is it lawful under FISA for the government to ask private internet companies for data? 7. According to some experts, on what grounds could Yahoo have fought complying with the government’s directive? Some surveillance experts said this represents the first case to surface of a U.S. Internet company agreeing to a U.S. government’s demand to search all arriving messages, as opposed to examining stored messages or scanning a small number of accounts in real time. a) Would you be opposed to this if you knew it led to the capture/prevention of terrorist attacks in the U.S.? Explain your answer. b) How should the government ensure Americans’ right to privacy while protecting citizens from terrorist attacks? c) Do you think Yahoo should have refused the government’s request the way Apple did when authorities needed help unlocking the terrorist’s phone? Why or why not? 9. a) Write out the text of the Fourth Amendment. b) A commentator at Constitution Daily writes: The Fourth Amendment provides a bulwark against this type of dragnet surveillance. Before searching Americans’ private communications, the Fourth Amendment requires that the government demonstrate probable cause or individualized suspicion. Do you agree with this assertion? Explain your answer. Yahoo Chief Executive Marissa Mayer and other executives ultimately decided to comply with the directive last year rather than fight it, in part because they thought they would lose, said the people familiar with the matter. Yahoo in 2007 had fought a FISA demand that it conduct searches on specific email accounts without a court-approved warrant. Details of the case remain sealed, but a partially redacted published opinion showed Yahoo’s challenge was unsuccessful. Some Yahoo employees were upset about the decision not to contest the more recent directive and thought the company could have prevailed, the sources said. They were also upset that Mayer and Yahoo General Counsel Ron Bell did not involve the company’s security team in the process, instead asking Yahoo’s email engineers to write a program to siphon off messages containing the character string the spies sought and store them for remote retrieval, according to the sources. When Stamos found out that Mayer had authorized the program, he resigned as chief information security officer and told his subordinates that he had been left out of a decision that hurt users’ security, the sources said. Due to a programming flaw, he told them hackers could have accessed the stored emails. Stamos’s announcement in June 2015 that he had joined Facebook did not mention any problems with Yahoo. In a separate incident, Yahoo last month said “state-sponsored” hackers had gained access to 500 million customer accounts in 2014. The revelations have brought new scrutiny to Yahoo’s security practices as the company tries to complete a deal to sell its core business to Verizon Communications Inc for $4.8 billion.